Sun of God University with The Hosts - show #34 on BBS Radio! 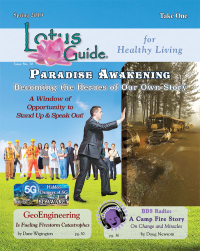 Sun of God University with The Hosts - show #33 on BBS Radio! Sun of God University with The Hosts - show #32 on BBS Radio! Sun of God University with The Hosts - show #31 on BBS Radio! Sun of God University with The Hosts - show #30 on BBS Radio! Sun of God University with The Hosts - show #29 on BBS Radio! Sun of God University with The Hosts - show #28 on BBS Radio! I love this station. It's about the only place I now go for my music. In particular, thanks for introducing me to Homyk, Longer Stronger with Notorious BIG. That song really sounds great and has a super message. So uplifting. In addition to buying his True Story CD I also bought one from Tenpenny Joke for the songs She & Emergency. I started listening to you awhile back and can't remember how I found you but sure glad I did. Thanks for the great music you provide ~ Dan B.